For years, the Town of Cary has grown its reputation as one of the most livable cities in the United States. It’s received dozens of awards and recognition from major publications—Money Magazine recently named it the Hottest Town in the East and one of six Hottest Towns in America. It’s home to a diverse, well-educated population with one of the highest median household incomes in the state. Cary’s tree-lined avenues and perfectly tended parks—not to mention its location in the heart of the Triangle—are ideal for families as well as retirees. There is much to love about Cary, from its bike-friendly greenways to its vibrant businesses to its family-friendly arts programming and sports opportunities. It can be challenging to look for real estate in such a popular area. And what if you’re looking to build your family’s dream home within the town limits of Cary? Finding the right property in the right place is crucial to any custom home, and such a competitive market leaves little margin for error. The location has to be perfect, of course, and so do the builder and the plans for the subdivision itself. Jameson’s Cove is a small future neighborhood planned for development in southern Cary near the corner of Ten-Ten Road and Feldspar Way. It has just 13 home sites, starting from the $600,000s and ranging in size from about a quarter acre to about a third of an acre. Getting to know the neighbors will be easy with only 12 other families on the block. The perks of the location are considerable. Families with children in Jameson’s Cove will gain access to excellent schools in the Wake County Public School System (WCPSS). The drive to the nearest elementary schools, Penny Road and Oak Grove, takes less than five minutes. For commuters to other parts of the Triangle, the drive time is very reasonable—it’s about 25 minutes to Research Triangle Park, and about the same to downtown Raleigh. This tucked-away community-to-be also is an ideal spot for anyone who enjoys making outdoor fitness a regular part of their life. The Camp Branch Greenway begins right across Ten-Ten Road and is proposed to continue past the neighborhood on the east side. 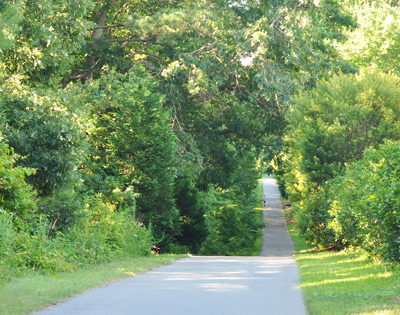 Marathoners, bikers and nature hikers alike can enjoy the close proximity to Cary’s network of greenways. For those who like to walk to get their shopping done, the closest Harris Teeter is a seven-minute walk away. Perhaps most importantly, a home site in Jameson’s Cove offers an opportunity to create your new house the way you want—with the help of a custom builder team well-acquainted with Triangle-area custom homes. For more information about this new neighborhood coming soon from the Jim Allen Group, check out the Jameson’s Cove website at www.Jamesonscove.com.